Hey there! Happy Thursday, lovelies! How is it already the second week in March? I swear this year is already flying by! Although I would like summer to hurry up! Today I thought I’d write a little post about my current favourite items from Missguided, because they’re too nice not to share with you all! Firstly, this gorgeous ‘Black Bandage Mesh Striped Bodysuit!’ I was very sceptical about buying this bodysuit, mainly because I wasn’t sure what to wear it with, but I absolutely love it!! The Bandage material is super comfortable and extremely flattering. Here, I chose to style it with my black bralette but sometimes I wear it with a small black cami top which also looks great! I’m also rocking these gorgeous ‘Oversized Buckle Block Heels Black’ also a Missguided favourite of mine! They are such a comfortable fit. In fact, I’ve actually worn them for a full day and my feet didn’t feel like they were falling off!! I’ve styled these items with my Berskha ‘Leather-Effect Biker jacket’ which is really thick and great for this cold weather! I don’t know about you, but I usually find it so hard to find a nice quality faux leather jacket but this is such great quality at such a decent price! Of course I chose to style this ensemble with my beloved Zara chain bag and classic black Jamie jeans! 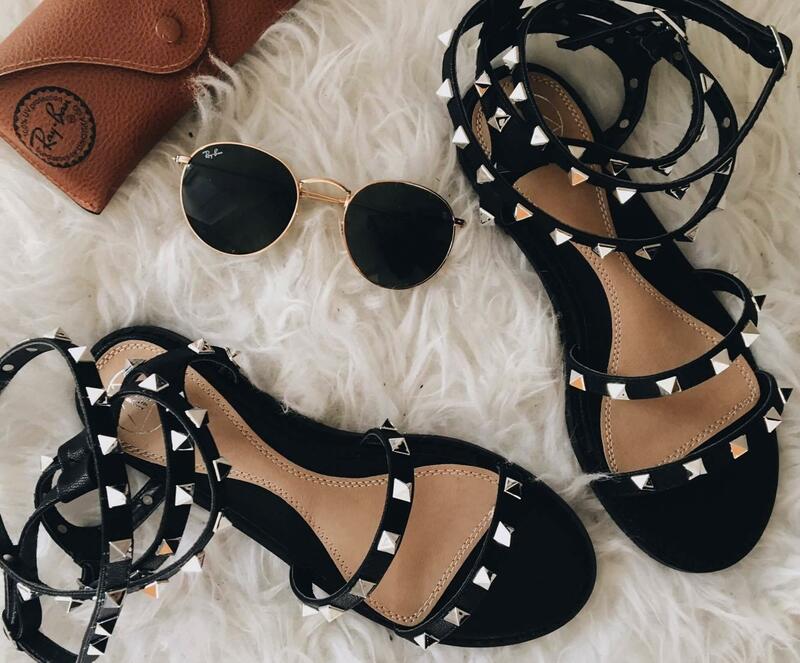 I’ve also have added in a few photos of my first little summer buy, a pair of lovely little ‘Black Studded Multi Strap Gladiator Sandals’! ‘Black Bandage Mesh Stripe Bodysuit’!